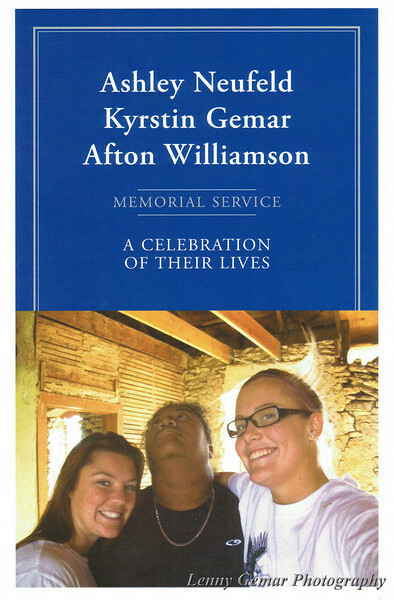 DSU Memorial Program for Ashley, Kyrstin, and Afton. Memorial was held at 2:00 PM, Thursday November 5th, 2009 in Dorothy Stickney Auditorium (May Hall). Stickney was filled to capacity, so three other rooms were setup with video feeds. It is estimated that 1,300 viewed the memorial.